CARLOTTA is at Speers Point RSL on Thursday night, Mayfield Ex-Services Club on Friday night and Doyalson RSL on Saturday night. 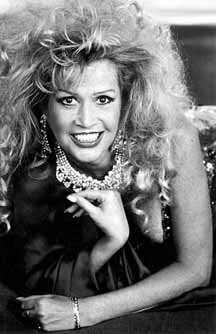 Her new show - DRAG QUEENS OF THE DESERT - is the pinnacle of a career that has spanned more than 30 years. Carlotta will take to the stage with some of the most daring and unusual costumes ever seen on the Australian stage. Designed by a selection of Australia's leading design houses under Carlotta watchful eye, the 'frocks' are set to thrill. 'Spectacular is not the word for them,' she said. Carlotta has had her own show for more than three years and she describes the production numbers, presented by some of Australia's finest drag queens, as 'femininity plus'.